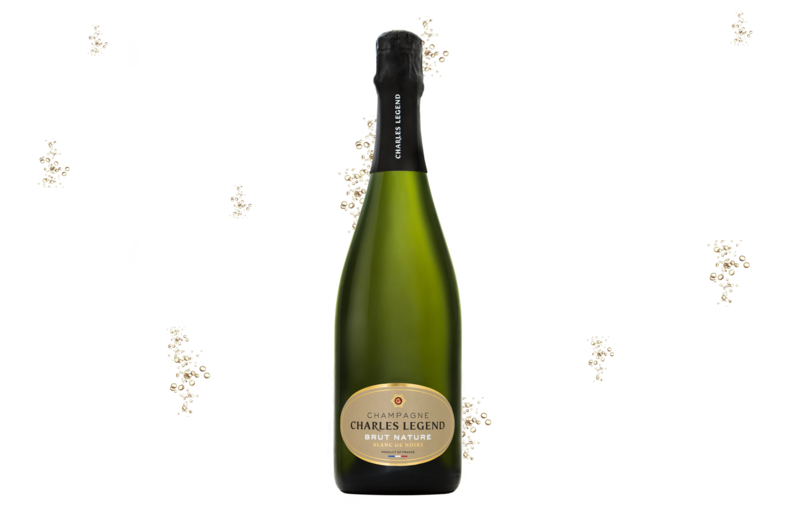 Latest born of the Charles Legend family, this champagne with no added sugar, offers you a new tasting experience. You will appreciate its freshness, its fine bubbles and the aromatic power of the Pinot Noir which gives to this Brut Nature champagne a perfect balance. Tonic and direct on the palate. This beautiful cuvée combines of fruity freshness and the richness of the Pinot Noir with a delightful vinosity. Some subtle hints of almond and Autumn fruits. Fine and fruity nose with precise hint of pear and nuts. A precise, elegant and aromatic freshness accentuated by the expression of the composition. Bright and golden in color.